A possible removal of the 1992 Professional and Amateur Sports Protection Act (PASPA), a federal law that prevents legalized sports betting in all but four states is on the horizon. The New Jersey Division of Gaming Enforcement (DGE) is actively encouraging gambling operators in the state to begin applying for a sports betting license. If that isn’t a positive sign that sports betting is about to become legal throughout the United States, we don’t know what is. DGE director David Rebuck had a message for attendees of the ICE Totally Gaming Exhibition, a massive online sports betting convention in London, England. 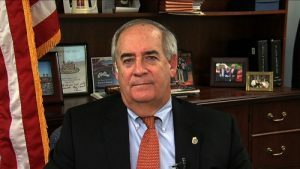 In that same speech, Rebuck told the crowd that gambling operators that want in on the sports betting industry in New Jersey should begin applying for a license immediately. The director said his state is ready to begin accepting applications. Rebuck’s clear indication that he expects a positive US Supreme Court ruling on Christie vs. the NCAA, a civil suit filed by former NJ governor Chris Christie against the NCAA (and professional sports leagues) to eliminate PASPA, may be a bit overzealous. Although most experts anticipate the Supreme Court will rule in favor of Christie and his state, paving the way for all 50 states to legalize sports betting, there isn’t a guarantee. A ruling is expected to come by the end of June at the latest, and as early as next month. What Rebuck is attempting to accomplish is to have his state’s casino operators ready to begin accepting wagers should the Supreme Court rule in favor of the gamblers. Many other states, including neighboring Pennsylvania, are proposing and passing similar legislation. MGM’s Borgata Hotel and Casino in Atlantic City is expected to be the first casino to accept sports wagers. The popular resort already constructed a $7 million sportsbook last fall in anticipation. 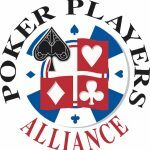 Citing a decline in donations from the internet gaming industry, the Poker Players Alliance (PPA), an organization that fights to legalize online poker in the US, is now joining in the fight to make sports betting legal nationwide. The non-profit organization recently sent a survey out to its members to gauge their interest in sports betting. 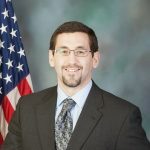 The PPA also announced in a press release that long-time Executive Director John Pappas, a vocal leader in the pro-online poker lobby, has stepped down from his position and will be replaced by Rich Muny, currently the PPA’s Vice President.